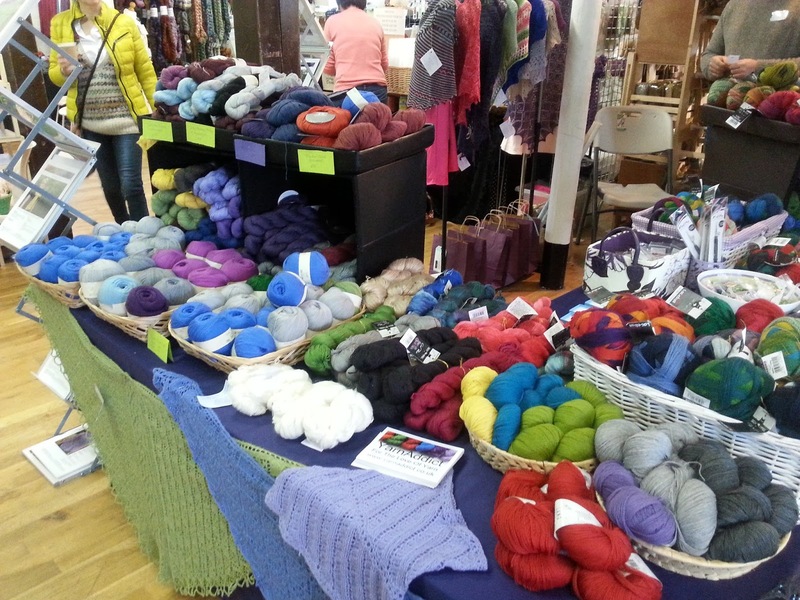 Confessions of a YarnAddict: Coming up! I've got a very busy couple of weeks coming up. Next week I'm off to Berkshire to teach another three classes at the Artesano Academy. I had a great time teaching there in January so I'm looking forward to going back. In fact, I'll be teaching there every month this year except for August (I'm taking a break from teaching for the whole of August). I've finally started to add this year's workshops to my website. It's such a time consuming job and I've still got lots more to add. But if you're interested in the Artesano classes you can see them all here. I'm teaching some classes several times so if you click on one of my classes, you can see all the different dates I'll be teaching that class this year. My passport runs out next month and because I'm Norwegian, renewing my passport is a little bit more complicated. In the past, I've had to go to the Honorary Consul in Plymouth to renew my passport but they've changed things and I need to go to the Norwegian Embassy in London. If I lived in Norway, I could just go to my local police station which I actually considered doing when I was in Norway in November but I only had 3 working days there (4 days in total) so didn't want to waste 1/2 day sorting my passport out. So on Tuesday next week, I'm getting the early train to London, rushing off to the Norwegian embassy. As I'll be travelling to Reading on Wednesday I thought I might as well stay in London for a night which gives me a day and a half to enjoy London. I quite enjoy travelling to London on my own as it means I can do whatever I like. I'm planning some shopping in Covent Garden (probably mainly window shopping) and Liberty/Carnaby Street area as well as a trip to Wild & Woolly, Loop an hopefully the V&A Museum if I have time. Thursday, Friday and Saturday I'll be at the Artesano Academy starting with Lace Improvers on Thursday. 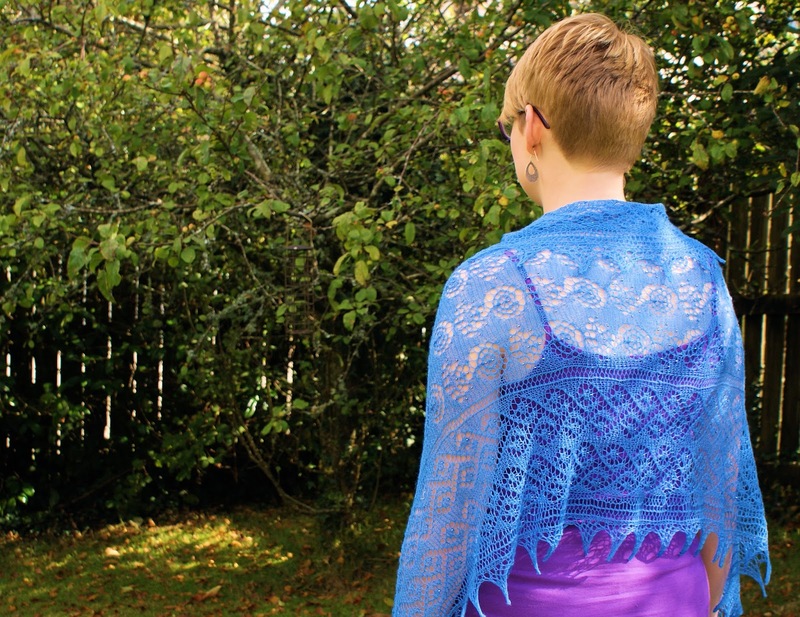 This class is perfect if you've done a little bit of lace knitting and want to take it to the next level. 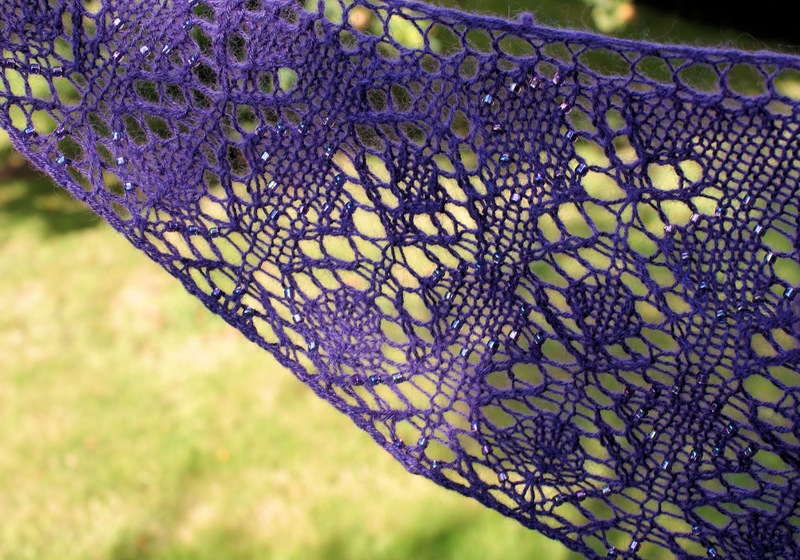 We'll cover topics such as provisional cast on, reading lace charts, adding beads, lace knitting on both right and wrong side rows, knitted on edgings and more. In the morning, we'll practice a few techniques and in the afternoon, you'll get a chance to cast on for a shawl from a selection of patterns I'll be bringing with me. On Friday, we're knitting Norwegian Selbu mittens. 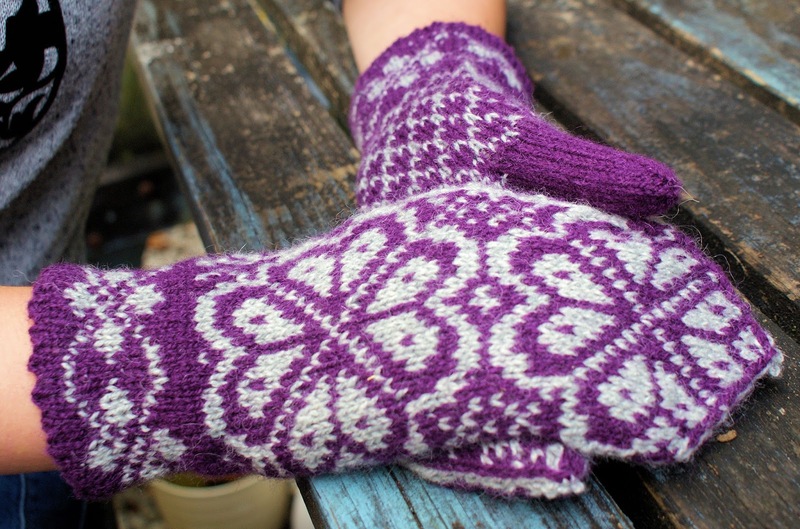 In this class you'll learn fair isle knitting techniques, how to knit continental so you can do fair isle knitting with a colour in each hand, the correct way to strand the yarn, how to read colour work charts, knitting in the round, and how to knit and shape Selbu mittens. Selbu mittens are traditional Norwegian mittens from a village called Selbu, which is near where I was born. We'll knit a little practice mitten in the class and you'll get a pattern to take home. Even if you don't fancy knitting Selbu mittens, this class will teach you a lot about knitting fair isle in the round. 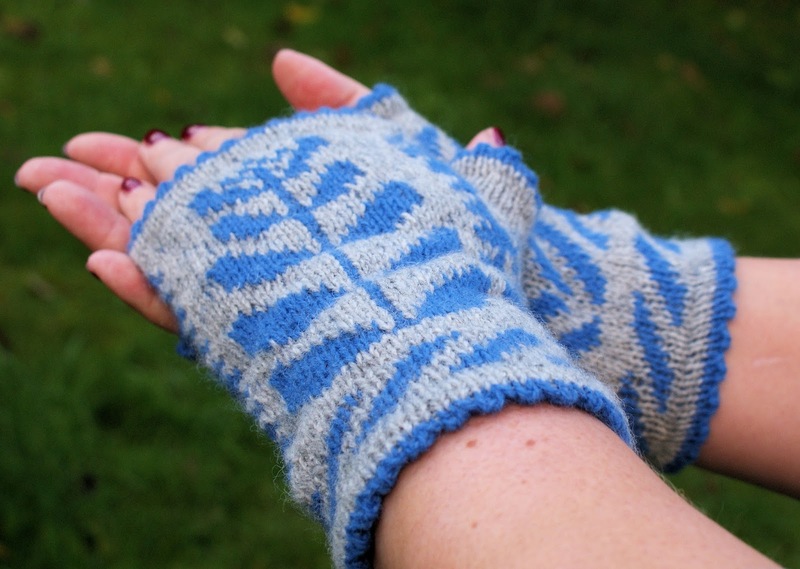 I'll be teaching my Selbu Mittens class at Spin A Yarn in Devon in February too. On Saturday, I'm teaching what looks like it may be my most popular class this year, Fair Isle Knitting and Steeking. I'll be teaching this at three different locations this year. This class is already full so Artesano have added another date in March and more later on in the year. Artesano has a useful calendar of events here and then you can click through to each class for more information and to book. The following week, it's time for Unravel. This is my second year at Unravel. I loved it last year so I'm really excited about this year. The show is over three days: Friday, Saturday and Sunday. Last year, Saturday was busiest. This year I'm teaching my brand new class, Beaded Lace Knitting, on Sunday afternoon. I think the class is full but contact Unravel if you're interested as they may have a waiting list. On my stall, I'll have yarn, patterns, books, shawl pins, beads, crochet hooks (for adding beads) and hopefully a few kits. I was only allocated a small stall so we'll see how much I have room for. Look out for the Yarn In The City stall and the brand new book: London Craft Guide (there' a pre-order offer on now) which has a pattern by me in it. More on that soon. I've been knitting myself a pair of your Selbu mittens for a while now and enjoying it. I'm approaching the top and realising that, for my long-fingered hands, I should have added more pattern rows after the ribbing. Oh the joys of hindsight! Mind you, they look good and I'm thinking of ways round this - probably involving taking out a row, knitting longer then grafting the cuff back on. The second mitten will be knitted with sufficient extension above the cuff! I hope to have them made while there might still be some winter. Otherwise they'll be away til next year - always we have a winter then!